Columbus OH 4322Velva Dunn is an consistent Multi-Million Dollar $$$ Producer with a proven track record with Remax International serving ALL of Central Ohio and surrounding communities for almost two decades. I specialize in residential sales,new home construction and relocation. My successes and innovative approaches have been noted in "Who's Who in Real Estate", I have won numerous prestigious awards locally, regionally, Nationally and International, including OAR "President's Sales Club Award" as well as the "Platinum Club and Hall of Fame Award", Remax International's highest individual sales designation. As an expert in relocation services, I have successfully represented top Forbes companies both Nationally and Internationally. While I work through out Central Ohio I specialize in these areas; Dublin, Powell, Delaware, New Albany, Upper Arlington,Columbus, Lewis Center, Sunbury, Westerville, Worthington, Granville, Hilliard, Marysville, Plain City, downtown Metro Columbus urban and suburban areas including Franklin, Delaware, Union and Licking counties. Your complete satisfaction with my services and representation is my number one priority. My website has all the information you will ever need to find your dream home or sale your home at the highest possible price in the shortest amount of time and/or all your relocation needs.Contact me with confidence! I guarantee your privacy will be respected. And I offer the services of this site free without obligation. Why? I want to be your Realtor and Number One source of real estate information to help you find the right property for you and your family at the right price! 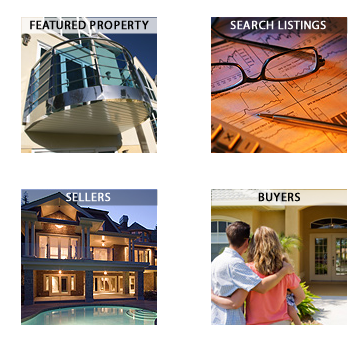 Whether you are considering Buying a home, Selling a home, Luxury Homes, Investment Properties, 1031 Exchanges, New Home Construction, Vacant Land, Horse Property, Country Club Golf Course Communities/Homes, Lake Front Property/Homes, Resort Homes, Residential and Retail Land Development,Patio Homes, Condos, Duplexes,Townhomes, Custom Built Homes, Farms, Wooded Lots, Golf Course Lots, Acreage/Land /Lots with pastures, woods and streams, Builder Model Homes, Leases and Rental Homes with Land Contract options, Commercial Office space lease, Short Sales, Foreclosure Properties (etc. ), I personally know these properties inside and out. You can find everything you're looking for right here on this site. Featured Property for Sale: Some of the best properties for sale are displayed right here! As Central Ohio's #1 Expert in real estate in Dublin, Powell, Delaware, Columbus and ALL surrounding communities, I can provide you detailed information on these homes, properties or any others! It doesn't cost anymore to work with the Best #1 Realtor in All of Central Ohio! Email Listing Alerts: Be the first to know what's coming up for sale in any community, city or neighborhood of your choice throughout Columbus, Central Ohio and ALL surrounding communities and in ALL real estate markets with our New Property Listing Alerts! Just tell me what you're looking for and I'll email a daily update of ALL homes and properties listed for sale since your last update. You can unsubscribe at any time.